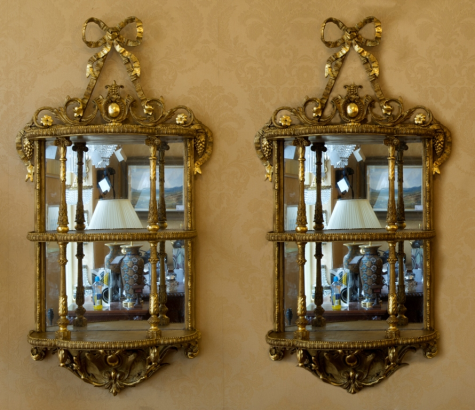 Superb Pair of Giltwood & Plaster Hanging Mirrored Wall Brackets. 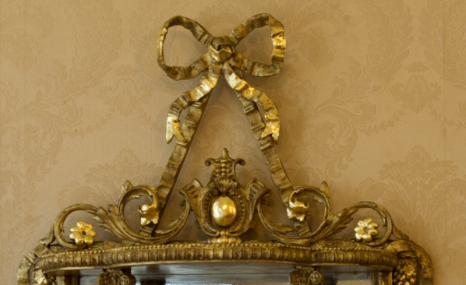 The mirrored back with twin shelves above a cartouche and ribbon ending with an acanthus leaf apron. First half of the Nineteenth Century. Condition: Superb condition with no losses, these mirrors have been lightly restored. 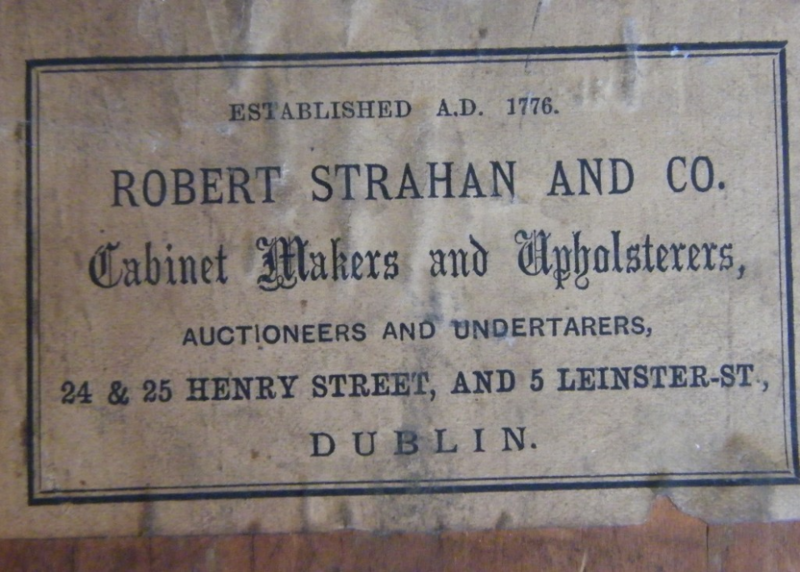 Each with paper labels Robert Strahan & Co. 24 & 25 Henry Street and 5 Leinster Street, Dublin. 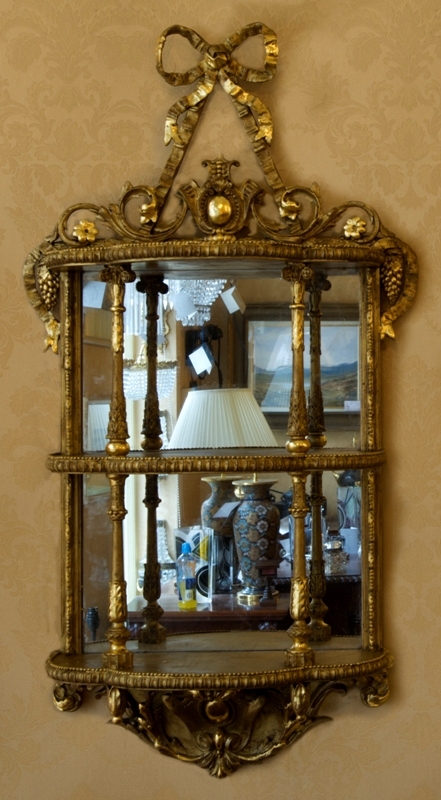 Height: (entire as shown) 38" (96.5cm). 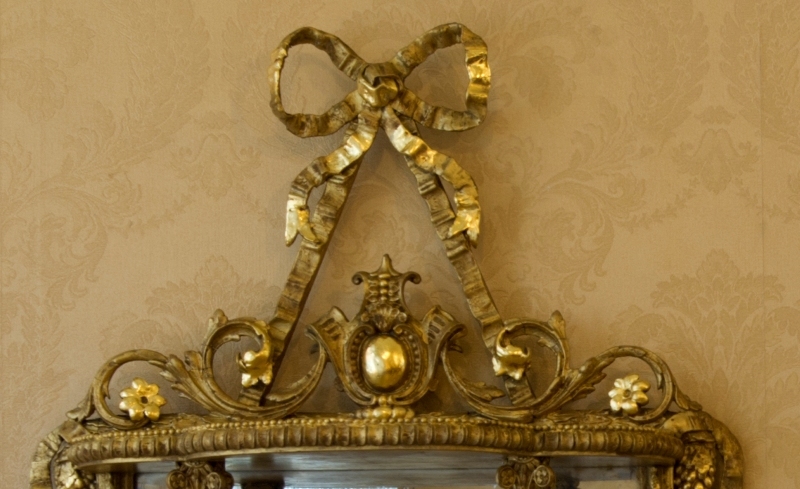 Width: (at widest) 18.5" (47cm).